Android tablet apps are quickly achieving universal recognition as an essential tool for business to make use in customer service, marketing and sales. Because Android apps are easily available for customers. Where applications can be created for completing specific tasks on the Android platform, Android tablet application development is used. Android tablets are established for very useful or practical presence in the technological world and it is progressed in such a demand that Apple had also made. As a result, there are ever using apps which grow demand regularly which also allow the portability of a Smartphone app together in the combination of advantages afforded by large screens of tablets. For that, you will need to download another third party application that helps you to switch your tablet and also to restrict users’ access to run only one app all the time. Calendar took our permission for android phones. On tablets, a calendar has a nice layout with the month view and day view on both the sides. In the week view, you will still get a thumbnail look at your thumbnail with your various sub-calendars. You can use this Microsoft software to view and can do basic editing to your document. If you are doing a lot of work on tablets for quick editing 365 may be worthwhile. Google drive takes the same style which approaches as most other Google apps. It takes same on tablets as on mobile phones but it makes better use of space. Hangout supplies as the most solid contender for tablet messaging. It allows sending images, messages, conduct video calls and emojis. It is one of the most tablet-friendly chat apps. You can get access to YouTube red if you pay for the subscription which adds background playback, removes adds and it is awesome for multitasking on tablets. It is a gorgeous alternative which provides useful features. It is a previous pick for file explorer on tablets. You can able to browse your cloud storage, local files and many more. Why opt for Osiz Technologies services? Osiz technology is an effective way to boost and generate your business in social media marketing. It is established in B2C and B2B business markets. It is the most popular way of business marketing on the internet. You will also get traffic and visitors to your business website without getting negative comments. 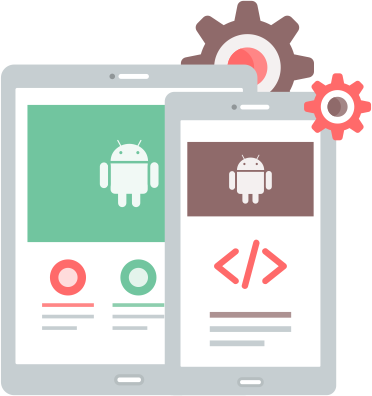 It is the greatest company for corporate android app developer and effective across the worldwide. Osiz technology also develops the user-friendly design and iPhone operability. It also creates attractive and powerful iPhone games app in different categories such as design game, puzzle game, war game, arcade game, card game app and strategy game app. Also provide an app for traveling like Google maps, city guidelines, travel currency, itinerary, travel weather and GPS system.